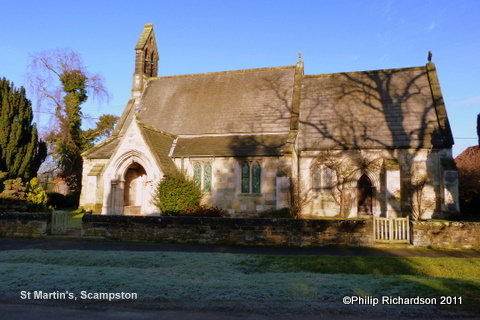 This small village church was built in 1845 for Col William St Quintin of Scampston and the event is commemorated in the memorial window in the chancel. A finely carved screen, choir stalls, alter, pulpit and prayer desk were donated in 1906. There is an octagonal font with a tall crocketed cover.